For years I have offended some by revealing my Rule #1 (a media secret) – “It’s about Ratings and Revenue.” The motivation of the media is easy to understand. Get the most people watching, listening or reading, so you can sell commercials or ads at the highest possible rate. There are some that will argue there’s a public trust or a sole purpose to inform and enlighten. They’re delusional. The cable news channels, like Fox News or MSNBC, openly criticize their competition’s personalities and news choices. This normally happens when their competition’s ratings are increasing. They also employ trolls to go on the internet and place stories of their “dominance” or their competition’s “weakness” on social media sites and then you, according to their plan, “like,” “share” or “retweet” their propaganda with your friends. It really is crafty. I guess God could be keeping a big secret on this one, but I’d first conclude Newton’s “Laws of Gravity” took hold of the plane at some point in its flight. In the past month, since the plane vanished, there have been weeks CNN’s ratings have increased 100%. And that means they can charge their clients, the companies selling denture adhesive, laxatives and adult diapers, more money for those commercials. In 2013 CNN was projected to take in $1.11 billion in revenues (64% of revenues are from fees you pay through your cable bill). The Malaysia Airlines story won’t last forever. I’m guessing there are those in the CNN boardroom trying to figure out how to get another plane to go missing so they can increase ratings and revenues a little more. 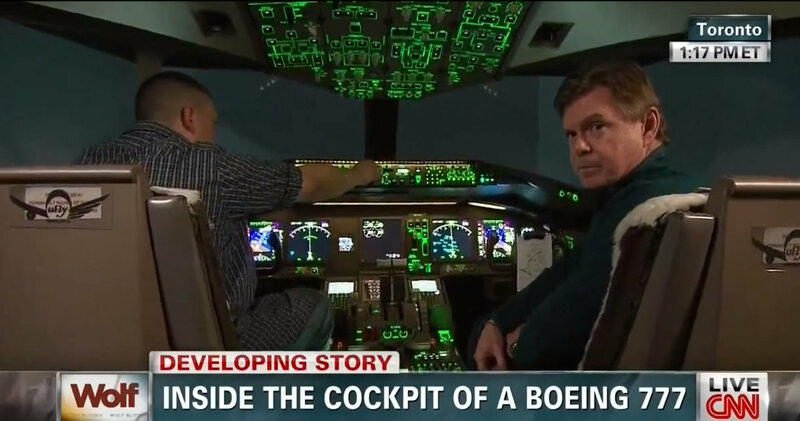 CNN won’t tell you why it’s covering the missing flight MH370 almost 24/7. Are they ashamed they’re profiting from the possible deaths of 239 people? Nah. It’s about “Ratings and Revenue.” The immutable law of American media.